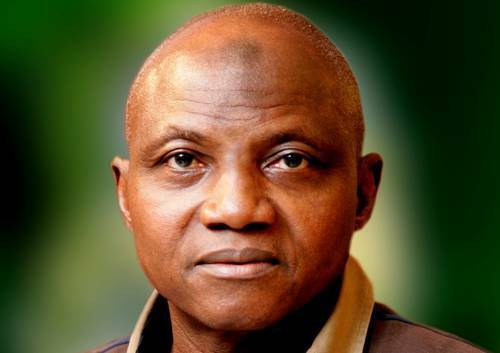 I read the dismissive and unsatisfactory reaction of presidential spokesperson, Mallam Garba Shehu to the worrisome and ferociously contested case of Mr. Joachim Foretemose Iroko Chinakwe as published on his social media accounts, specifically on Facebook and Twitter, in the evening of Thursday the 25th day of August, 2016. Mallam Garba Shehu accused those linking his principal, President Buhari to the embarrassing case of 41-year-old trader, Joachim Chinakwe who named his pet dog ‘Buhari’ of being ignorant of the playful and accommodating nature of the president. If that informal response from the presidency was aimed at exculpating the President from the imbroglio, it has failed to achieve that purpose. Those of us who are not blinded by ethnic, religious or political sentiments are not persuaded by the response from Mallam Shehu. Mr. Shehu dismissively downplayed the gravity of the case and sought to insulate the President from it by alluding to President Buhari’s sense of humour and admiration for caricatures and critical cartoons. This is where he missed the point. What is in issue is not the jovial or humorous nature of President Buhari as a person. Nobody to my knowledge has said that the President directly instructed the Nigeria Police Force to arrest, detain and prosecute Chinakwe. It is difficult to believe that the President will abandon his pressing duties and condescend to that level. However, we cannot honestly rule out the possibility of members and officials of his government doing so. Our democratic experience as a nation has shown over the years that it is not uncommon for members of the ‘kitchen cabinet’ and close allies of any sitting president to exercise arbitrary powers over key institutions and dictate the course of events in the polity with or without the imprimatur of the incumbent. I am referring to the class of politicians who are usually said to have the ‘ears’ of the President in every administration. When such people act, the president vicariously takes responsibility for the consequences of their actions. In the present case, there is no direct evidence to show that such interference by members of President Buhari’s ‘kitchen cabinet’ has taken place. It can only be evinced in the realm of conjecture. Notwithstanding that there is no direct evidence linking the President or members of his government to the case, there are verifiable and undisputed facts which ostensibly show a relationship or connection between President Buhari and Chinakwe’s case. First, the man at the centre of the controversy, Chinakwe stated expressly that he named his pet dog ‘Buhari’ after his hero, the Nigerian President. On that basis alone, there is no way the President can be insulated from the case. Second, the police shockingly declared that the “average Northerner” will feel bad over the naming of the dog ‘Buhari’. One may wish to ask Mallam Shehu whether his principal, the President, is in support of the unfortunate ethnic allusion made by the Ogun State Police Public Relations Officer, Abimbola Oyeyemi, during an interview with the Vanguard Newspaper. If his answer is in the affirmative, is it because ‘Buhari’ is a God to the ‘average Northerner’ or because ‘Buhari’ is a Northern name? Are there no “average Northerners” whose names are non-Hausa, non-Fulani, non-Kanuri and non-Arabic? Supposing the dog’s name was Moses, Musa, Ortom, Dalung, Patience, Effiong, Nkechi or any other ‘ordinary name’ other than ‘extraordinary names’ like Buhari, will there have been anything like Chinakwe’s case today? In other words, can Mallam Shehu honestly say that we are not talking about this case today because the name in question is equally borne by the President of Nigeria, especially given the fact that Chinakwe said that he named his pet dog after President Buhari, his hero? If President Buhari disagreed with the ethnic and inciting narrative of the police, Mr. Garba Shehu should say so publicly and go further to tell Nigerians the precise manner in which the disapproval was expressed. Third, it was widely reported in the media that the Commissioner of Police in Ogun State overruled the Divisional Police Officer in charge of Sango Ota where the incident took place by ordering the immediate release of Chinakwe. Premium Times later reported that the Assistant Inspector-General of Police for the Zone II Command Headquarters (covering Ogun and Lagos States) in Lagos, Abdulmajid Ali, ordered for the case file to be brought to his desk and was going to resolve the matter amicably. Nigerians will like to know who subsequently ordered the re-arrest, detention and arraignment of Mr. Chinakwe? The naming of the dog ‘Buhari’ by Chinakwe is indeed a LAUGHABLE incident. That is one of reasons why Nigerians are asking the police not to dissipate tax payers money on a laughable incident as publicly admitted by the President’s spokesperson. Invariably, Mr. Shehu is asking Nigerians to accept hook, line and sinker the one-sided, suspicious and unproved story sold to the public by the police and to completely ignore the narrative of the accused person who ordinarily, should be given the benefit of doubt in line with Section 36 (5) of the Constitution of the Federal Republic of Nigeria 1999 (as amended) under which he is presumed innocent until he is proved guilty. In my two previous essays on the subject, arguments were canvassed on why the arrest, detention and subsequent arraignment of Chinakwe is unconstitutional and oppressive. I do not have any reason to depart from them. Readers may wish to refer to my two previous essays titled: ‘Naming a Dog ‘Buhari’, Police Impunity and the Law’ and ‘The Planned Arraignment of Chinakwe is Oppressive, Illegal respectively as published by Sahara Reporters, Premium Times and other leading online and mainstream news media. It is too late in the day for Mr. Shehu or any other person to ask Nigerians to insulate the President from the case. Not after the matter has gained international currency having been elaborately reported by the BBC, Associated Press, BuzzFeed News, Reuters and other notable international media establishments. Supposing without conceding that the President has nothing to do with the case as submitted by his spokesperson, President Buhari should be worried by the intoxicating, dangerously divisive, sectional and religious dimension that the case has assumed. As the leader of the country, President Buhari has a constitutional mandate to diffuse ethnic and religious tensions which are capable of undermining the corporate integrity of Nigeria. I respectfully urge President Buhari to exude leadership and intervene in the case by directing the police to withdraw the charge brought against Chinakwe in the overall public interest. It should be noted that by virtue of Section 215 (3) of the Constitution, the President has ‘absolute’ powers and control over the police. No matter the pretence and denial, this case is connected one way or the other to President Buhari. As a public relations expert, Mallam Shehu ought to know that this case has negative impacts on the image of the present ‘change’ driven administration and the unity of our already polarised nation. The international community is watching us. I sincerely hope that the President will do the needful. Nigeria is currently faced with myriad of excruciating challenges, this case is undoubtedly not one of them. The earlier we move away from this avoidable distraction and face serious national issues the better for us.